Nathaniel had his four year old well child visit two days ago. Oh, you know… I'm just a couple months late taking him. With the busy-ness of the holidays and his birthday, moving to a different state and welcoming a new member in the family---it just kept getting pushed down the to-do list! Thankfully, Nathaniel is a very healthy boy. 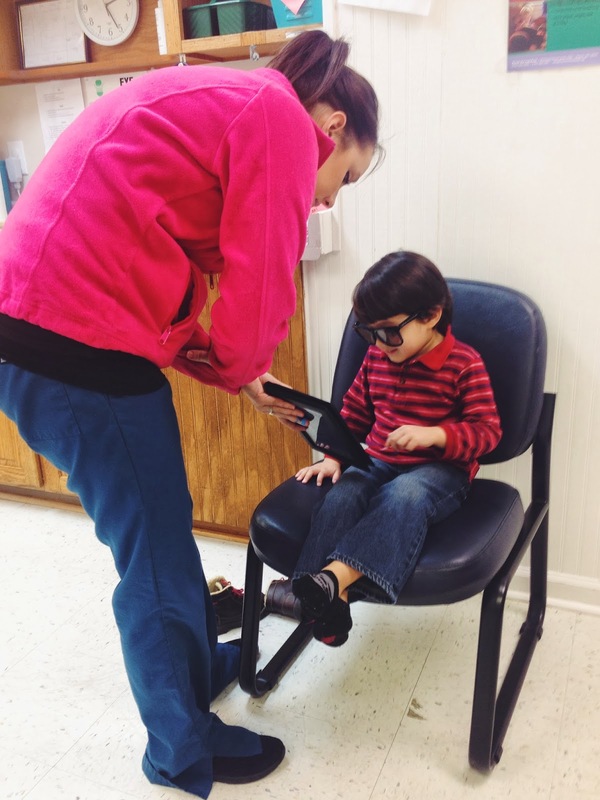 He passed his hearing and eyesight assessments with flying colors. He is developmentally on track and is within a healthy weight and height range. However, his iron level is borderline anemic so I need to take him to the lab to do an actual CBC test instead of just the finger-poke quick test done at the clinic. I am not looking forward to this. At all. The pediatrician said this usually comes out normal when done using the definitive test. But in the case that he is anemic, a vitamin supplement should fix the problem. And if it is severe, an iron supplement will be prescribed. Nathaniel received four immunization shots---one on each limb! There's a reason I'm not a pediatric nurse! I told the staff I didn't want to be there but when I was taking off Nathaniel's clothes, he kept saying, "I need my Mama!" I couldn't leave then. I just held his face and told him to look at me. He was so stressed out and terrified. And it was just as traumatic for me. I wish I had known it was going to be four (no, I didn't miss any) then I would have asked to delay and space them out. Four shots after not receiving any since he was two years old was just a lot to take especially now that he understands a little bit more about what is going on.